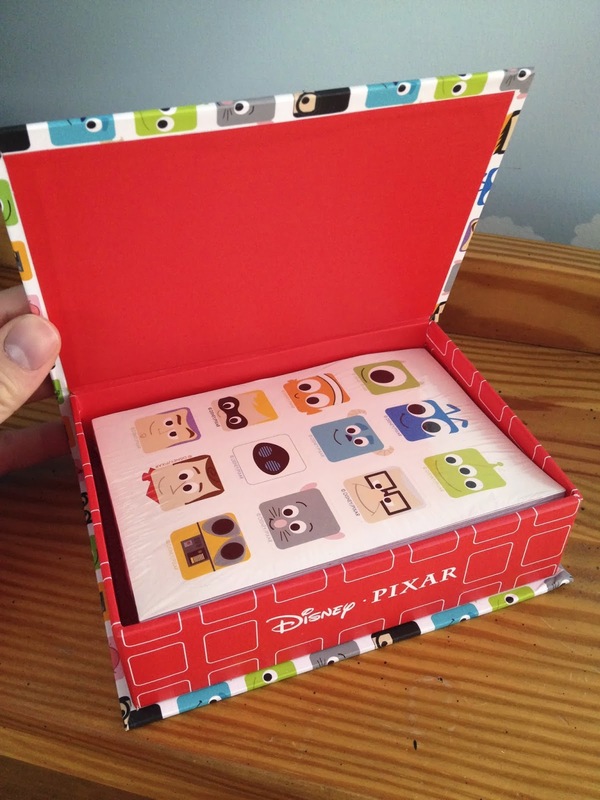 Man, when I saw this Pixar Note Card set revealed as a D23 convention exclusive, I knew I had to get it somehow. I checked eBay and everywhere I could think of online but couldn't find this anywhere. 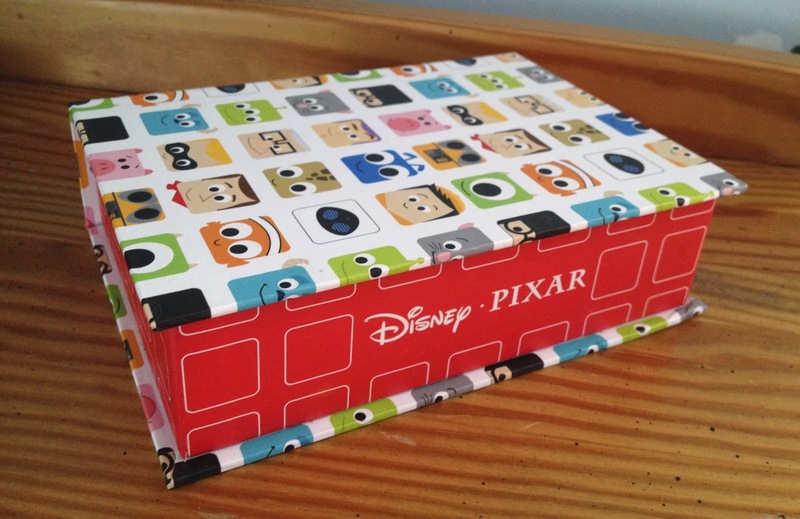 Luckily, not long after D23 was over, this (and the rest of the collection it's from) was available on the Disney Store's website! I was so happy. 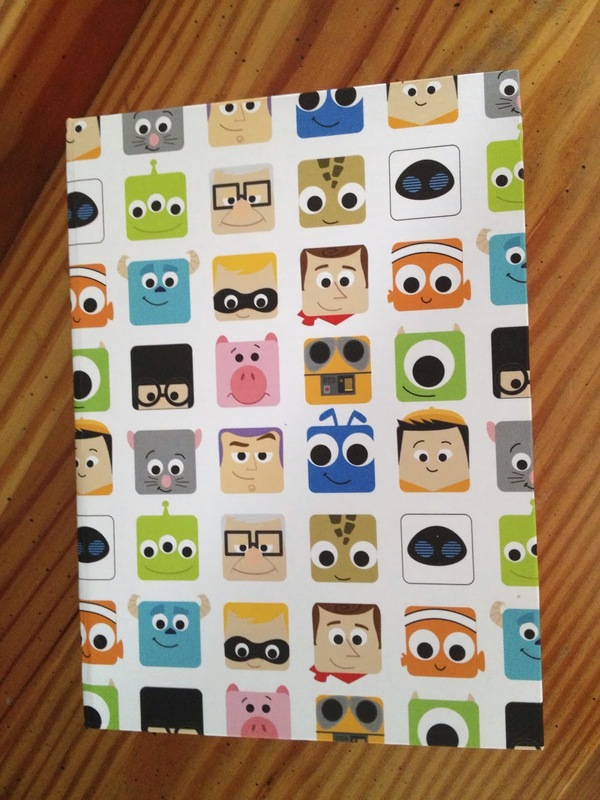 This Note Card Set was part of the "Disney/Pixar Line" of products which also includes a mug set, a second mug set, a notebook, an iPhone case, a Sticky Note Set, a pencil/eraser set and stickers). 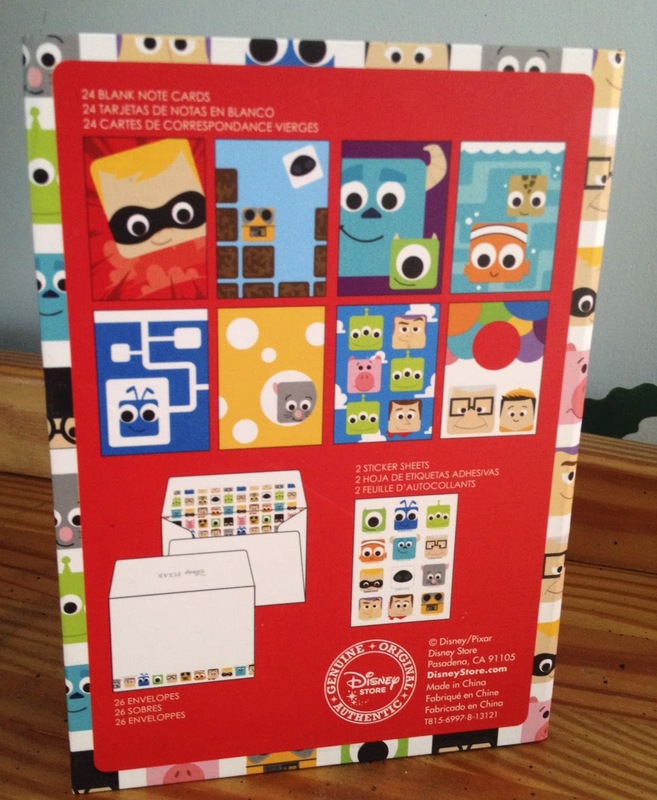 bottom of the box-Disney Store Certified! I just absolutely love this simplistic, minimalist style. 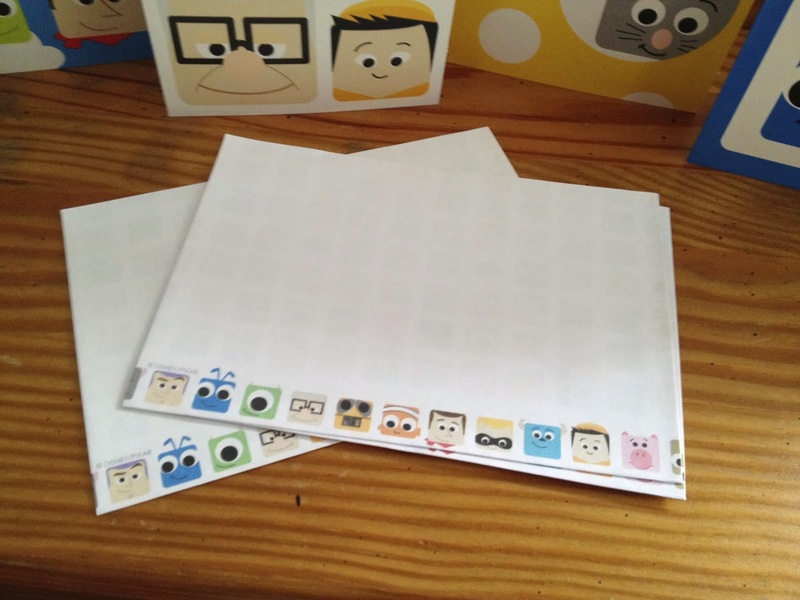 Comes with two sheets of stickers! And below we have all the note cards together! There are three of each design included for a total of 24 cards. Which one is your favorite? A big thanks to my in-laws for this great Christmas present! I'm so happy I got it when I did. Unfortunately, these have since sold out everywhere online. If you missed them, you may have a hard time tracking them down now (I haven't seen them anywhere). As always though, good luck on the hunt! 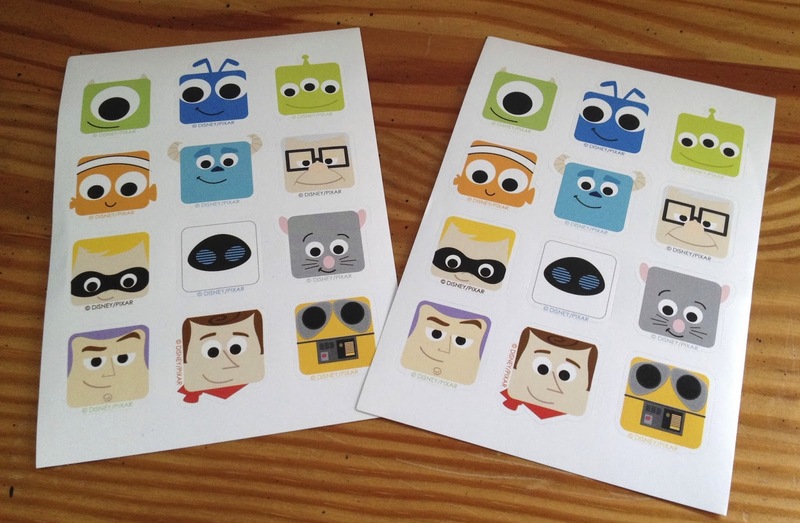 Thanks for visiting today's post and be sure to come back daily for more from my Pixar collection.